Are they pop? Are they alt-rock? Or are they a new hybrid of house-rock? A thousand years later, when historians look at how music evolved in the beginning of the third millennia since Christ, Imagine Dragons will be remembered as a missing link. Are they pop? Are they alt-rock? Or are they a new hybrid of house-rock? Imagine Dragons combine the most well-received tropes of all three worlds. Choruses are short and repeated often enough for them to burrow into you. There are the throwbacks to Arcade Fire’s rolling drums that make you want to jump off your seat and shake the person next to you. And finally enough reverb and handclaps to make stadiums filled with teenagers dance with glee. In this regard, not much has changed from the band’s debut, Night Visions, which took over charts in 2012. Released earlier this year, Smoke + Mirrors is an 18-track magnum opus with enough hooks to keep you entertained. While this release does not have a Radioactive, the hit from their debut that stayed on the Billboard charts for over 100 weeks, it is a well-constructed album. Alex Da Kid, who has produced the album with the band, has made sure the arrangements provide a range of emotions. There are dancy numbers: Warriors and I’m So Sorry, contemplative ones, Polaroid and I Bet My Life and sing-alongs like Gold. But at the core of the album, like the title suggests, is centred on love and loss. 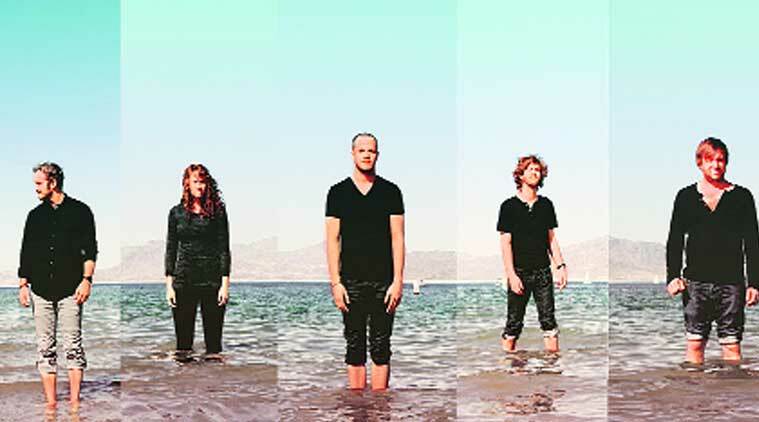 The band has often been compared to Coldplay for the epic romance in their music, but vocalist Dan Reynolds feverish vocals have an optimistic nature to it. The lyrics complement this talent. In Shots, the album opener, he goes: “From the second that I was born it seems I had a loaded gun, And then I shot, shot, shot a hole through everything I loved”. By the end of the track he’s telling his lover, “And there’s always time to change your mind”. It’s unthinkable that Imagine Dragons once played at casinos to uninterested gamblers. Their music is loud and in your face, tailor-made for stadiums. Their live performances are testament to this. But on a record, this quality gets jarring. The band toured with Night Visions for close to three years. It will be interesting to see if Smoke + Mirrors will have the same response worldwide. Sophomore efforts are always difficult, if you like Imagine Dragons’ brand of music, it’s worth tuning into.